Mr. Herman is a graduate of St. Mary’s University School of Law, J.D. 1971. He was a founder and associate editor of The St. Mary’s Law Journal. Post-graduate studies include work on an LLM at George Washington School of Law in Washington, DC. Upon graduation from law school, he worked in Washington, D.C. in the Office of General Counsel Federal Communications Commission, from 1970-1972, during the tenuous times of the Watergate scandal. He was first licensed to practice law in Texas in 1971. Fort Worth native and veteran attorney, Mr. Herman’s practice is centered in real estate law, business and commercial transactions, probate estate administration, and commercial law. His undergraduate degree, a B.B.A. from The University of Texas at Austin in 1965, preceded a two-year stint in the U.S. Army serving in Japan and Vietnam as a first lieutenant during the Vietnamese Conflict. He is a graduate of St. Mary’s University School of Law, J.D. 1971. He was a founder and associate editor of The St. Mary’s Law Journal. Post-graduate studies include work on an LLM at George Washington School of Law in Washington, DC. Upon graduation from law school, he worked in Washington, D.C. in the Office of General Counsel Federal Communications Commission, from 1970-1972, during the tenuous times of the Watergate scandal. 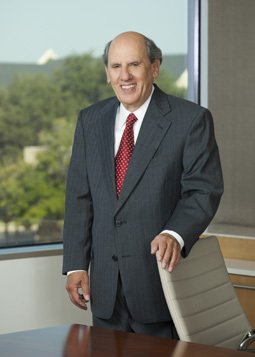 He was first licensed to practice law in Texas in 1971.